January 26, 2019 By Steve Moses & filed under All Articles, Essentials, Gear. Author’s initial set-up uses both Wilder Tactical and conventional pouches. In 1980, I accosted a home intruder at zero dark thirty in my living room. I was wearing a bathrobe and nothing else (I apologize if that mental image is difficult for the reader to bear) and armed with a Ruger Security .357 Magnum revolver with six-inch barrel. I held the burglar at gunpoint for nearly ten minutes while waiting for the police to arrive. This experience convinced me that not only was I in sore need of training at a time when private-sector training was pretty much an unknown, but also that I needed better equipment. Since then, I have acquired a Texas peace officer license, a Texas Level 4 Personal Protection Officer license (required to perform armed executive protection), and I have completed over 80 private-sector and law-enforcement-only handgun, shotgun, carbine, high-risk warrant, dynamic entry, and team tactics classes. I also spent nearly 11 years on a multi-precinct Special Response Team and sometimes wore the requisite gear needed for high-risk entries. I am truthfully not a gun and gear junkie, and if I acquire a gun or piece of gear that does not work as desired, I jettison it. I had never forgotten that a terry-cloth bathrobe pocket is not a substitute holster, and the next time I had an encounter that might involve eventual contact with law enforcement, I wanted something that would let me safely holster my pistol. 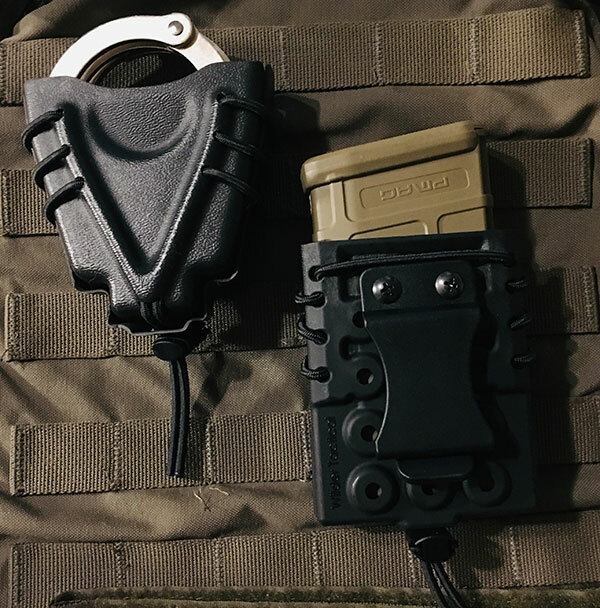 Wilder Tactical Minimalist Belt Pad uses vertical slots instead of horizontal MOLLE slots, making use of conventional holsters and pouches possible. I also wanted something I could quickly don that not only included a non-collapsible holster but also an extra magazine pouch, tourniquet holder, and flashlight pouch. 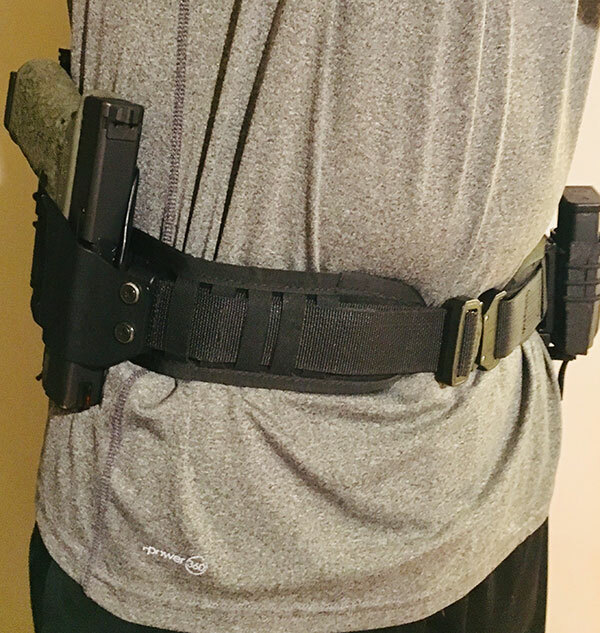 I was one of the first to jump on the Battle Belt concept, but found them to be overly wide and bulky, not especially “grippy” when worn over nothing more than gym shorts and a t-shirt, and I personally do not like dealing with MOLLE straps. 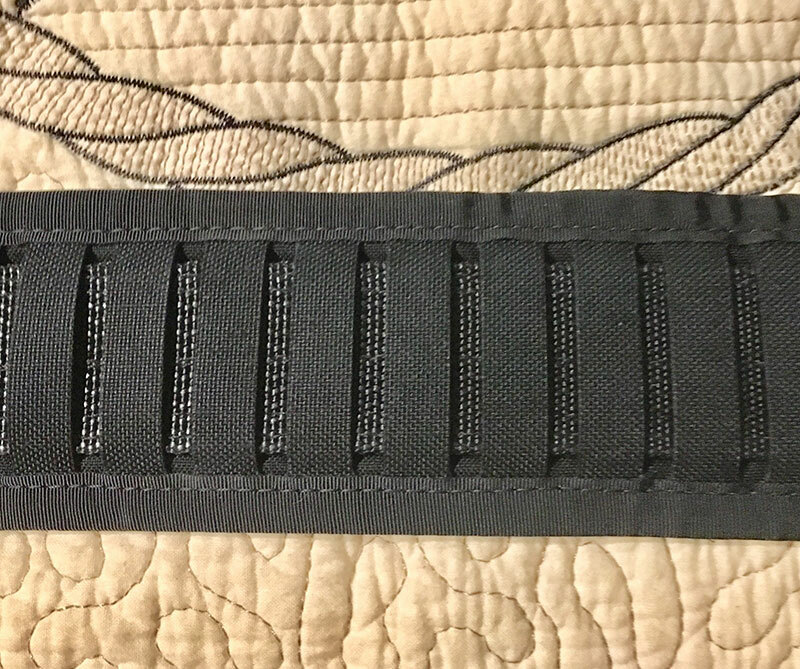 I stumbled across the Wilder Tactical Minimalist Belt Pad and realized immediately that perhaps there really are unicorns. Wilder Tactical was founded by former U.S. Army Ranger Battalion medic Josh VanHeusen. Josh served two tours as a medic in Iraq, where he found multiple issues with the equipment he was using to store medical gear, which caused him to make repeated modifications to it to better meet his needs. Josh started Wilder Tactical, LLC upon his return to civilian life and developed a product line he describes as being comfortable, efficient, and capable of meeting the demands of real-world environments. After reading the product details and perusing the reviews, out came the credit card and then started the wait. My first thought upon receipt of the slotted belt pad was, “I think this is going to work.” One great feature of this belt is that it can be used with any robust belt, whether nylon or leather. I grabbed an old leather gun belt, threaded it through the slots, strapped it on, and found that it worked as advertised. My next move was to order a Cobra buckle gun belt from Talon Tactical. Within ten minutes of receipt of that belt, I had my “go-to” belt assembled and sporting a Raven Concealment double mag pouch, JM Kydex outside-the-waistband slide holster built to my specs, and Wilder Tactical tourniquet pouch. Minimalist Belt Pad worn over gym shorts and t-shirt. It can be quickly donned and makes it easy to keep defensive tools in close proximity. I found the entire set-up to be quick to don, grippy enough to permit a draw from a holster that has excellent friction retention qualities, extremely comfortable to wear, and even capable of being concealed under a jacket or coat. I was so impressed with the design of the Wilder Tactical two-piece tourniquet pouch that I ordered their pistol magazine, rifle magazine, flashlight, and handcuff pouches. This is one time when one size really does fit almost everything. Each pouch is comprised of two separate nylon-based polymer parts bound together by an elasticized shock cord that enables the user to lessen or increase the retention levels as desired. This is a great feature for owners who want to use the same pouches for different firearms. I can use my Wilder Tactical handgun magazine pouch to store either a Glock 19 double-stack magazine or a Glock 43 single-stack magazine without making any adjustments. The pouches are also stackable if desired, and the entire system can take the place of the more traditional Battle Belt for those who want to employ this set-up in a hard-use environment. Clever use of shock cord for providing retention and robust quick-detach clip. Multiple holes on the back permit stacking pouches. As stated earlier, my initial objective was to assemble a carry system for use during “bump in the night” scenarios. To my delight, I have unintentionally ended up with a set-up that lets me remain relatively dry during rainy training sessions, as I simply wear the belt pad over closed rain gear. I can carry on my person a handgun, extra magazine, flashlight, and CAT tourniquet in the event that my home town experiences a natural disaster and there is a reasonable possibility that looters might be going house to house. As I write this, the Wilder Tactical Minimalist Belt Pad is selling for $59.00. It is capable of being used to good effect with nothing more than an existing leather or nylon belt, and any holster and mag pouch worn on that same belt will work. It does not get much better than this.